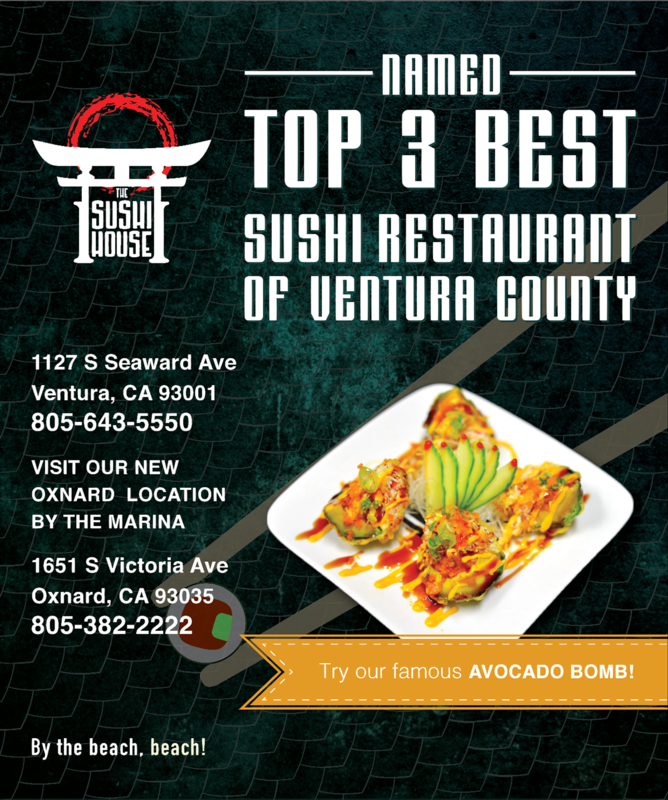 I had the great opportunity to work with a local sushi restaurant to design an ad that will feature in the VC Reporter Newspaper as the best of Ventura County. The owners of Sushi House take great pride on their quality and consistency and I wanted to reflect that on this ad. One of their signature dish is the Avocado Bomb which I highly recommend if you are ever in town. It consist of half of an avocado stuffed with spicy crab, spicy tuna, smelt eggs, and drizzled with two of their signature sauces.